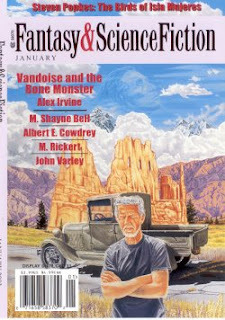 One of the coolest things about Gordon Van Gelder's magazine Fantasy & Science Fiction is the regular last-page feature called "Curiosities", where various people contribute snapshot reviews (300 words or so) of obscurish books they feel should be more appreciated. The F&SF website hosts an archive of scores of them, and I recommend a visit -- especially if you're a writer and are looking for a new source of procrastination; you can happily lose a whole day there (and then alleviate your later self-loathing by telling yourself, with some justification, that it was 'research'). I also, needless to say, recommend the magazine itself, still available every month in real ink on real paper at real newsstands. I've written a couple of entries for the "Curiosities" series. One was on Arthur Machen's The London Adventure, which I'll reprint sometime in another of these "But Enough About Me" posts, and the other -- from the January 2003 issue -- was on a marvellous (and woefully underrated) Michael Fessier novel from 1935. "I was standing in front of the Herald and somebody fired a shot and I saw a fat man turn slowly on one heel and fall to the sidewalk." 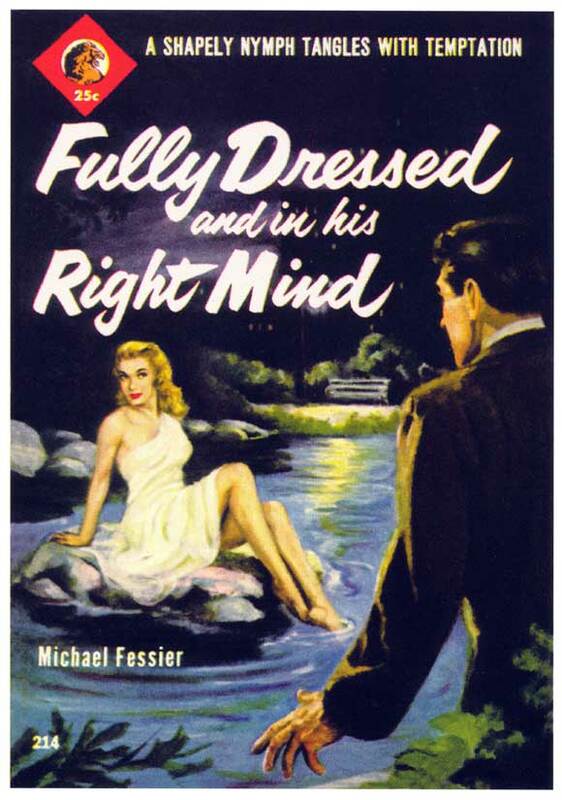 With this economic attention-grabbing opener, Michael Fessier's first novel promises the kind of proto-noir pleasures which, while entertaining, are hardly unique amongst 1930s thrillers. Within a few pages, however, the reader discovers that the book is no conventional murder mystery but in fact a fantasy -- albeit one which elegantly hedges its bets before its poignant conclusion acknowledges that at least one of its characters is something other than human. 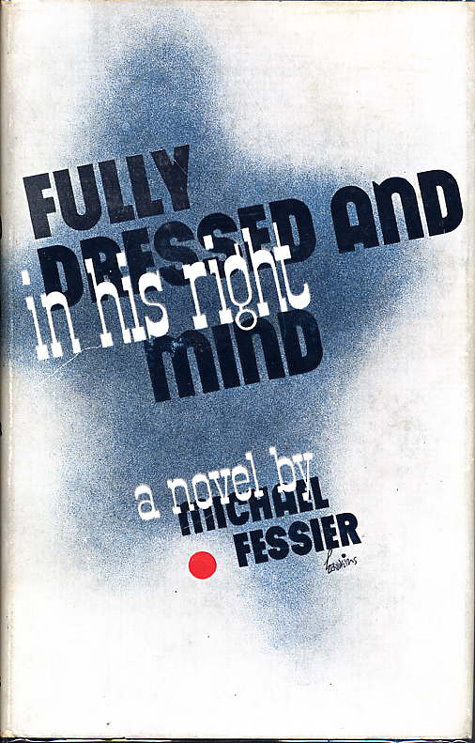 Fessier (1907-1988), the dedicatee of Horace McCoy's They Shoot Horses, Don't They?, was a screenwriter and the author of Clovis, a 1948 novel about a super-intelligent parrot. Fully Dressed's 1935 printings are obscure enough that more than one bookdealer advertises the 1954 paperback as a first edition. Let us do them the kindness of assuming they are ill-informed rather than unscrupulous. Whatever edition you obtain, you're in for a treat. In exhilaratingly efficient prose -- so lean and speedy that even a slowpoke like me can read the book in two hours -- Fessier whips through his bizarre tale of a contemporary San Francisco penetrated by elements (and elementals) of the fantastic. His style is facile and fun but his gaze is unblinking and dyspeptic -- there's a particularly disturbing scene involving the death of a child, for example -- and this collision of moral stances, as much as the plot's cross-genre delights, makes this seventy-year-old novel feel considerably more modern and alive than much of the swollen pap that passes for contemporary fantastic literature.